When starting out on the adventure that has become Eating Out Without, I looked up to fellow Central Florida bloggers for inspiration as role models in our city's growing gluten-free movement. Their words and discoveries encouraged me to step up to the plate to add my own voice to the mix. 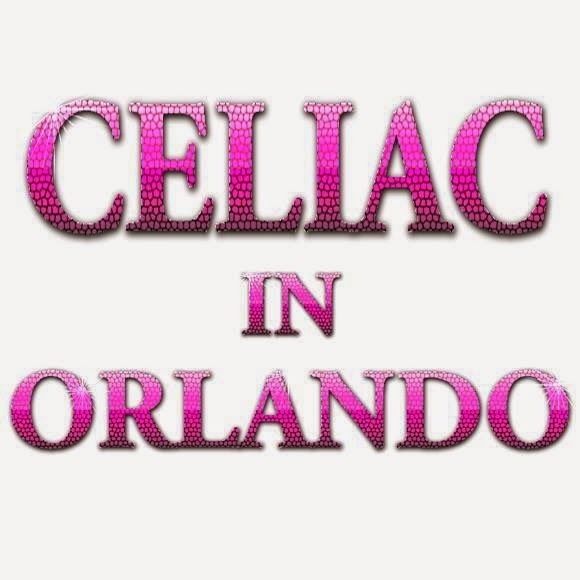 One such blogger, Jennifer from Celiac in Orlando, was one who has supported me from day one and helped me build confidence along the way. Recently, she invited me to write a guest post for Celiac in Orlando and after some brainstorming, I decided to write about something I know very well: living with gluten intolerance as a teenager. Though I can't speak for every gluten-free teen, I hope my experiences and tips can help give insight into our unique struggles. You can read the whole post here and check out her full blog here. If I have one weakness as a restaurant reviewer, it's that I cannot pass up gluten-free pizza if it's on the menu. In frequenting countless restaurants that serve gluten-free pizza as well as pasta, I have yet to go for the noodle option. Oddly enough, pizza was not my favorite food at all before going gluten-free so I'm not quite sure where my devotion comes from. All I know is that good gluten-free pizza places are completely worth the sometimes lengthy drive and upcharge, but always worth it if they turn out a delectable pie. Funnily enough, Christopher's Italian Restaurant and Pizzeria is one such pizza place that has come out of nowhere on my Central Florida pizza radar. In fact, the I first knew of their offerings sans gluten after my next-door neighbors ordered gluten-free pizza from them for a birthday party. What was so astonishing is that Christopher's has been around awhile and is located in my neck of the woods and yet I was not aware they were gluten-free friendly. Could it be too good to be true that I wouldn't have to trek out across town to get good pizza? Whoopie Pies are a phenomenon I failed to partake in before going gluten free. Growing up in the South and Midwest, I had never really seen the dessert until I toured the northeastern part of the country on a college tour. Now unable to eat the wheat and cream versions beckoning from pastry counters, I figured that the cookie sandwiches would be something I would have to leave behind. 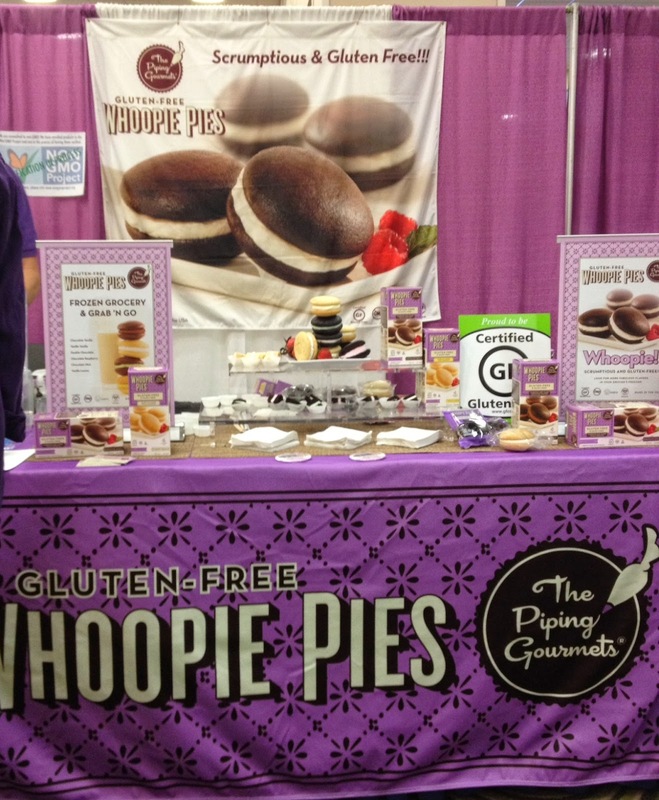 As luck would have it, an answer to my gluten and dairy free whoopie pie prayers came at the vendor expo at the 2014 Gluten-Free Living Conference in Orlando earlier this month. Not to be missed in their signature purple, the Piping Gourmets brought the treats back in a big way as they introduced attendees to their delicious line of gluten-free whoopie pies. In my pre gluten-free days, Bob Marley: A Tribute To Freedom was one of my family's favorite places inside Universal's CityWalk. Designed as a replica of his Jamaican home, it's easy to get immersed into the laid back vibe of the "King of Reggae" and the country he loved so dearly thanks to it's seclusion from the busier sections of CityWalk and authenticity that includes a pulsing beat of reggae, island eats, and memorabilia from Marley's reign. Although it has been a family favorite over the years, we've avoided coming back since my diet change because we were unsure as to the gluten-free friendliness of the restaurant. However, after visiting another Citywalk restaurant (Margaritaville) recently and leaving not quite satisfied, I found myself drawn to to Bob Marley's once again. As we approached the restaurant, I heard a stranger in front of me inquire about a gluten-free menu. I held my breath for the waiter's response, but sure enough, they did have a gluten-free menu. My dad and I decided that the opportunity was too good to pass up, so we stopped by for round two of our gluten-free scouting trip through CityWalk. As a born and bred Floridian, I take pride in my wacky state of residence and defend it against the countless jokes and obnoxious questions people have about the sunshine state (no, most of us don't go to Disney every day and yes, we do feel bad when the rest of the country is covered in snow). Though it may seem stereotypical, I do think at some level Jimmy Buffett's island tunes are the soundtrack of the Floridian lifestyle. While his whole playlist doesn't apply, it's hard to resist his songs of summer on this Memorial Day Weekend as the city opens up to welcome summer in all her blazing glory. What drew me to Jimmy Buffett's Margaritaville was Orlando's first week of truly hot weather and my curiosity about their recently revamped gluten-free menu. Wanting to beat the heat and get away from it all, my dad and I decided it was time to pay Margaritaville a visit. Inspired by my recent product review of Amy's Kitchen frozen gluten and dairy free pastas, I decided to delve more deeply into gluten and dairy free offerings from the frozen food aisle to see what other products I've been missing out on. On a recent scouting trip to a local Super Target, I was drawn in by Evol's array of offerings thanks to their colorful boxes and delicious-sounding flavors such as a lemongrass chicken and tikka masala. Evol, whose name is "love" spelled backwards, offers up a whole lot to love for those who are gluten and dairy free thanks to their commitment to serving up environmentally conscious foods with flavor. In honor of my new yellow lab, I knew I had to stop by the aptly named Yellow Dog Eats while staying in the Clarcona/Ocoee area during the last two weeks of Team Training at Canine Companions for Independance. Located in Gotha, which is between Windermere and Ocoee, Yellow Dog Eats is off the beaten track, but well worth the trek thanks to its unique vibe and eclectic eats. It's a must for any dog lover or free spirit who is looking for a good time and is a perfect place to catch local bands and events. Built around a historic home that has served as a house, general store, grocery store, and now a restaurant, the restaurant prides itself on its Central Florida roots and their status as a local landmark. The past two weeks have been a whirlwind for me as I have been finishing up my senior year of high school and have been in training full-time with my new service dog Locke. This two year old yellow lab is incredibly intelligent and has helped me become even more independent thanks to his advanced training to fulfill the roll of a working dog. This past Saturday, we officially graduated as a Canine Companions for Independence service team, which marks the beginning of our joint journey through life. Though Eating Out Without will continue to be a gluten and dairy free focused blog, Locke might pop up here and there as my new dining companion! For more information on Canine Companions for Independence, visit their website here. My first reaction upon entering into Raphsodic Bakery was one of incredulity. How could I have lived in Central Florida for so long and never paid them a visit? After all, this cozy bakery serves up a dizzying array of gluten free options ranging from cupcakes and cookies to more hard-to-find creations such as scones and cinnamon buns. 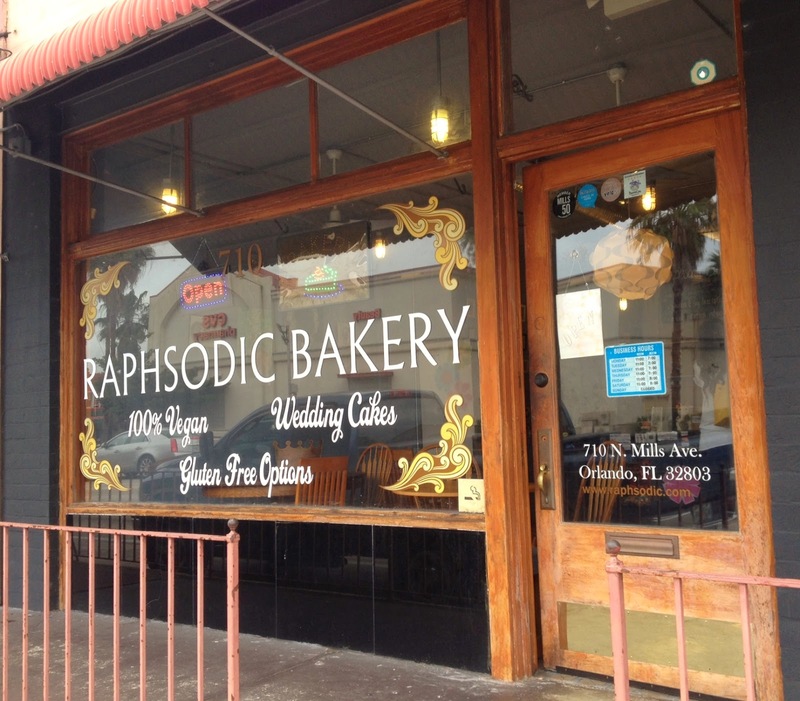 What's great about Raphsodic is that all of their treats are 100% vegan which means that I don't have to worry about hidden dairy products when taking in a bakery case laden with delicious-looking treats. With peace of mind like this, and their dedication to serving quality special-diet-friendly food, this amazing bakery is definitely one of my favorite finds in Orlando. Although they've been on store shelves for a while, I was really excited to come across Amy's gluten and dairy free baked ziti and vegetable lasagna frozen meals at Hoover's Market, one of my favorite local specialty stores for all things gluten and dairy free. Although my taste for pasta has almost evaporated since going gluten free, I was willing to try these out during my time in training with my new service dog knowing that they would be a convenient option at the end of each busy day. As it turned out, I'm so glad I tried these two dishes out because they definitely hit the spot and were incredibly close to their gluten and dairy free counterparts I grew up with. What's even better about them is that they both are produced with top quality ingredients and by a company that understands that gluten and dairy free entrees do not have to be bland or boring. 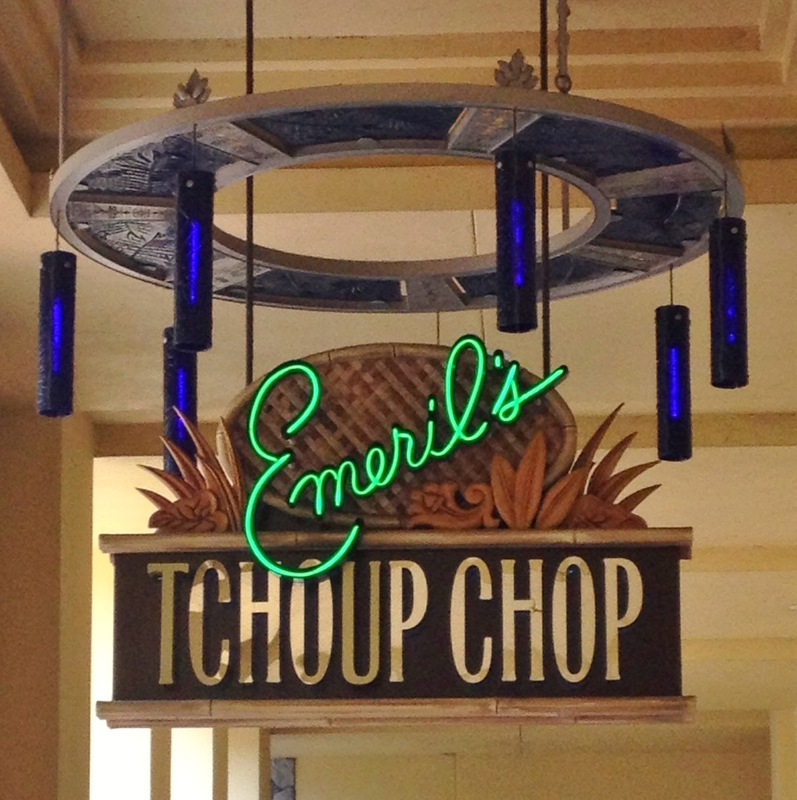 Located in the Universal Orlando's Royal Pacific Resort, Emeril's Tchoup Chop is a perfect restaurant to explore a varied menu of Polynesian-style food and escape from the hustle and bustle of the theme parks. I have been looking forward to trying the restaurant for a while and could not wait when my mom selected it for Mother's Day lunch. Having never before eaten at one of Universal's resorts, I must admit that I had high expectations considering the top quality experiences I have had on property at Disney World. However, as my experience went, Tchoup Chop holds its own and offers up a welcome mix of food allergen awareness and flavorful, fresh food. 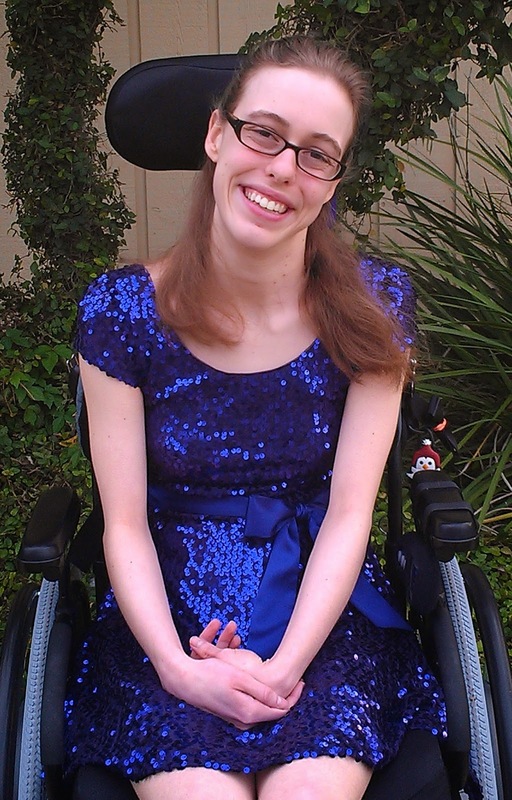 If you've ever wondered why I include information on a restaurant's accessibility on each of my restaurant review posts, it is because I am in a wheelchair thanks to multiple medical conditions which have left me physically disabled. Living with disabilities means that I face numerous barriers each and every day, and part of the reason I love food blogging is that eating great gluten and dairy free food is something I can do that is not affected by my physical limitations (well... except for the fact I cannot eat gluten and dairy!). The reason why I bring this up is that for this past week and the next, I am training to "graduate" with a full mobility service dog. The experience has been the most incredible one of my whole life and I have learned so much from the dedicated instructors and staff, intelligent dogs, and the incredible people who like me, are here to train with and gain a whole new outlook on life. My new service dog will literally open doors for me and help me live as an independent life as I go off for college and beyond. But one of the unexpected discoveries I have made while here, is that dietary limitations do not have to hold me back as well. After all, as open and knowledgeable I am about my diet, I still find it hard to speak up about it and often, I do not bring it up just to avoid the constant questioning. What I love about Orlando is that the city is constantly changing and growing. Especially in the food scene, which has taken great strides in the ten years I've lived here, the change is welcome as new restaurants pop up and old favorites expand and grow. Winter Park's Black Bean Deli is one such restaurant that has benefited from the emerging "foodie" culture as it has expanded from it's original location to an secondary location on Colonial Drive. This weekend, while attending a rain-soaked fundraising walk for a local organization, I knew that Black Bean Deli would definitely hit the spot on such a dreary day. Summer has definitely set up shop here in Central Florida! This means that the weather is constantly oscillating between a relentless, blazing hot sun and rainstorms. While it's a bummer to fight the inevitable afternoon rainstorms sometimes, the return of the 90+ degrees days has me looking for fun ways to cool off when it's just unbearable outside. Smoothies are a favorite of my mine because there's a myriad of colorful combinations, but sometimes, the Florida heat calls for one thing: ice cream. Although there are plenty of prepackaged non-dairy ice creams out there, I missed the texture and taste of soft-serve ice cream. 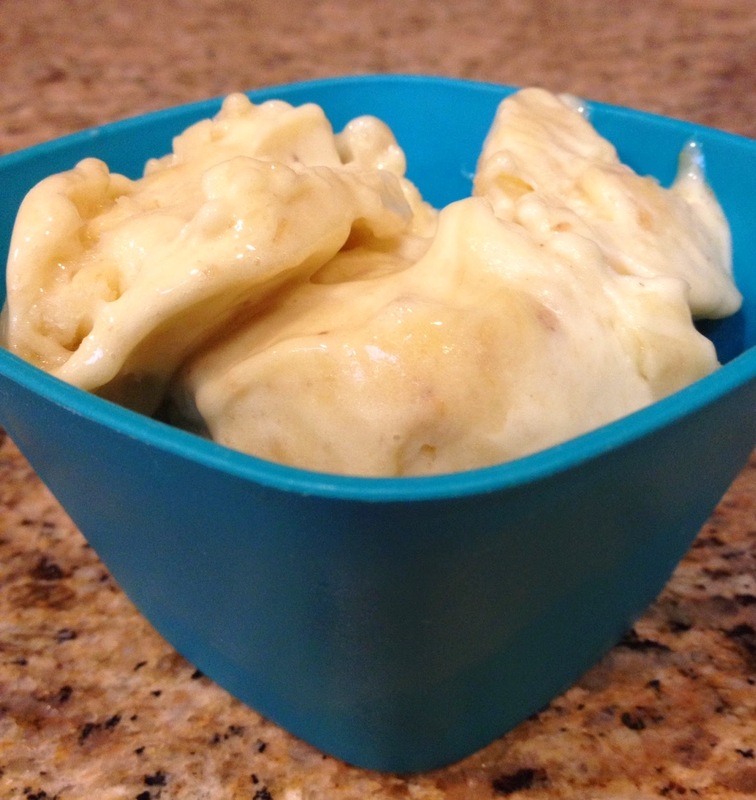 I've experimented with an ice cream maker and various ingredients, but never could get it quite right. Thinking my dream of soft-serve was too good to be true, I never would have guessed that the culmination of my quest would come in the form of a simple banana. That's right- the secret to non-dairy soft-serve ice cream is the simple, unassuming banana (with the help of a high powered blender!). 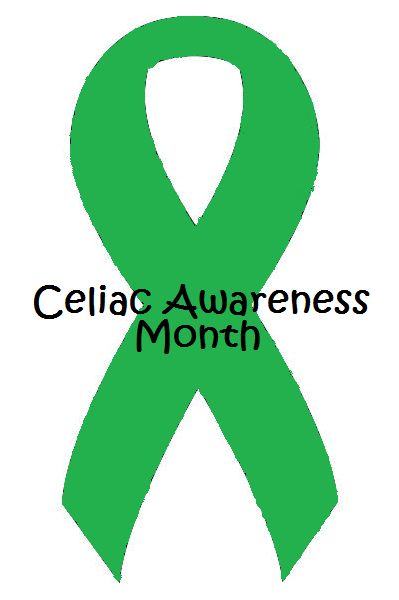 May is a very special month for the celiac and gluten-free community. It marks the nation-wide observance of Celiac Awareness Month. Although I myself am not officially diagnosed with the disease, I choose to stand up and celebrate it because widespread awareness leads to better research, more products on the market, and a greater understanding of the seriousness of the medically-required gluten-free diet. Because there are 31 days in which we can celebrate this month, I've decided to put together 31 ways to make each day count whether its simply celebrating being able to eat great gluten-free food or just raising awareness in family members, friends, or your community at large. I plan on adding one entry on the list each day of this month to spread the celebration out.